The original tutorial calls for iron-on interfacing. Turns out, I didn’t have enough interfacing for 6 placemats. There is one thing I never have a shortage of, and that’s white muslin. Since I wanted the placemats to have a bit of weight to them, I decided to line them with the white cotton muslin. 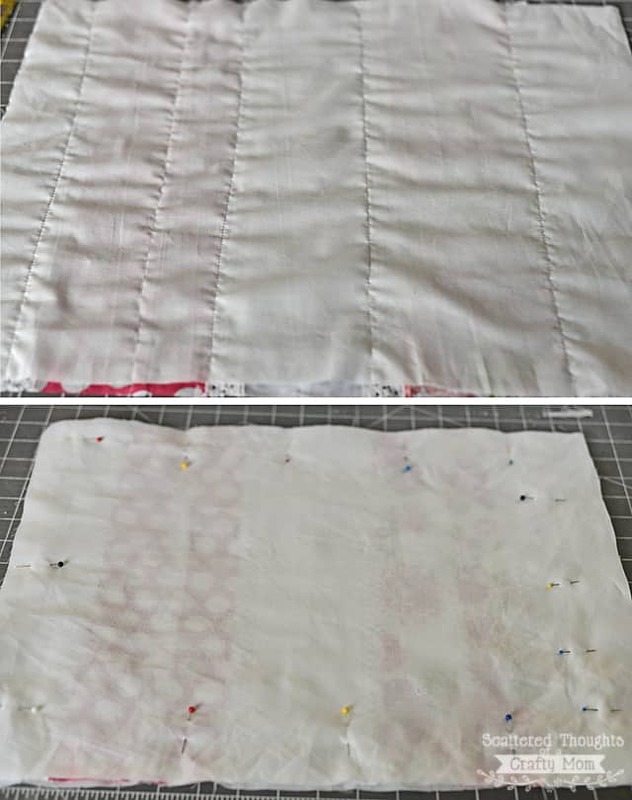 To do that, I just cut a piece of the muslin, (same size as the placemat) lined up the pieces wrong sides together and sewed a few straight lines along the seams of the shabby chic fabric. After I “quilted” the muslin to the front piece, I continued on, following the original tutorial. Instead of top stitching these, I hand stitched the openings closed. What do you think- perfect for Mother’s Day, right? « Inspiration Monday Link Party, plus features! Hi, Jamie ~ I'm visiting from the Pinworthy Projects Link Party. 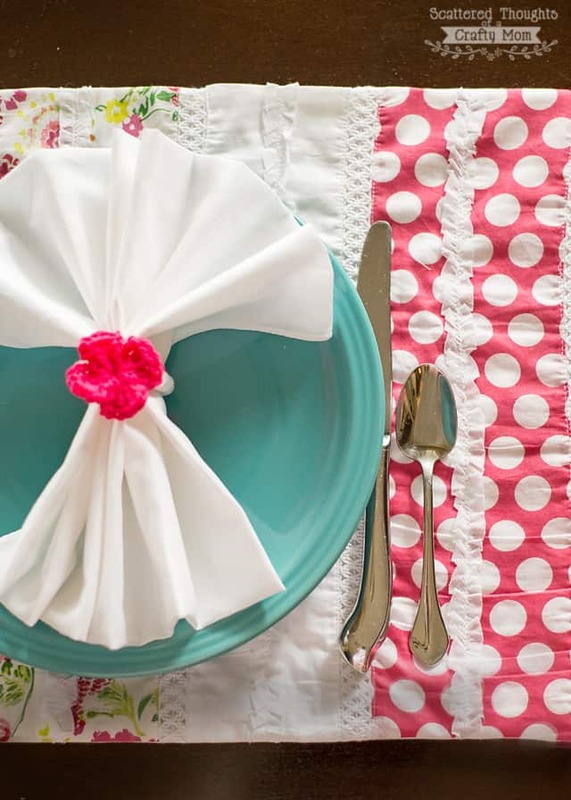 I love these placemats, and that fabric is awesome! I'm going to have to hit my local Hobby Lobby to see if I can get a hold of some of that fabric. Thanks for sharing and have a great weekend! 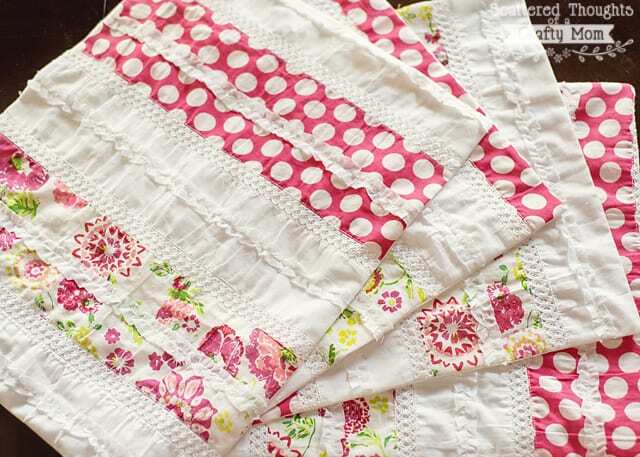 These look so pretty- I wish I could sew, I would make these immediately! I stopped by from Frugal Crafty Home. 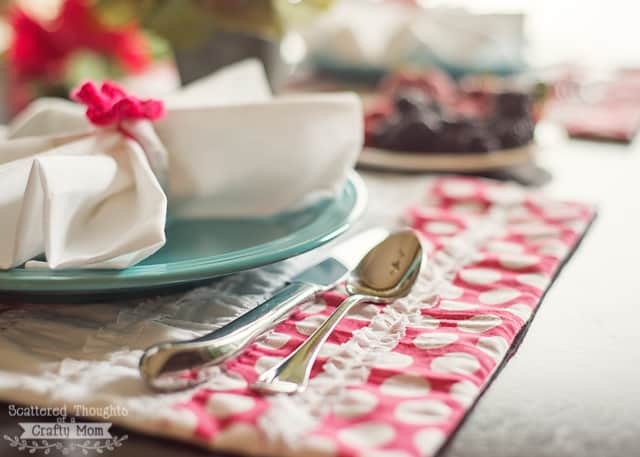 I love this fabric and these placemats are so pretty. I will have to find this fabric but I see a skirt for my granddaughter out of it. Thanks for sharing. Super cute, idea! I think I have everything to make them too! Oh my LOVE the placemats Jamie!! Your placemats are just lovely! 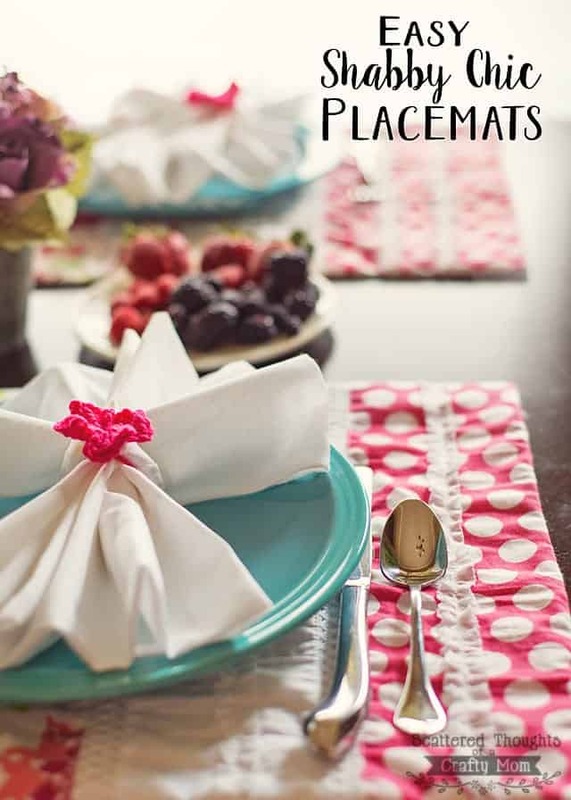 I'm pinning these to inspire me when I decide to make my own set of placemats! They're so pretty! They wouldn't go down well with my boys but I might make some just for me!